Things are changing in the world of vegan food, and I think we are finally seeing a shift that pushes plant-based food products out there into the world of mainstream consumers. 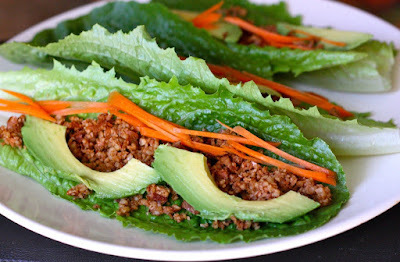 We no longer have to skulk around in the back corners of health food stores to find a non-dairy cheese, or sit in a restaurant with a sad bowl of iceberg lettuce for lunch. Product choices are absolutely exploding, and can now be found on all kinds of supermarket shelves, not just gourmet shops anymore. Personally, I shop at our bargain grocery store chain called No Frills. Nothing fancy, and not too cutting edge. 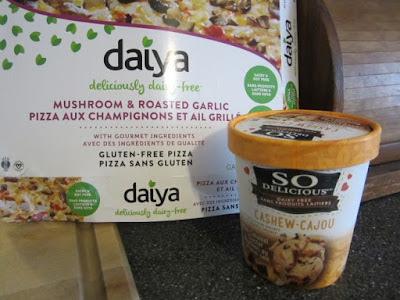 A couple of weeks ago, I found one entire cooler section now dedicated to So Delicious non-dairy ice cream products, and one whole section filled with Daiya pizzas, more Yves products and a range of vegan Amy's entrees. There was some crazy dancing in the aisles that day. Latest hits from our No Frills store. So many more choices, and these 2 are favs in our house now. But this isn't about me or my shopping antics. This is about the new beginning for the vegan industry that is clearly going strong. We used to have one or two types of soy milk to choose from if we wanted non-dairy. Now you can get multiple brands that include soy, rice, almond, oat, cashew, coconut and pea milks. Whole aisles are getting dedicated to vegan or vegetarian foods, and vegan businesses are popping up all over the world. The Herbivorous Butcher is selling gourmet meat substitute products in Minneapolis and around the world, to use one popular example. Mainstream restaurants are also taking steps to offer up more plant-based choices, including many fast food joints that I would never expect. Pizza Pizza has a list of vegan toppings, including soy cheese. They also do a great gluten-free crust but that's another story. McDonald's has rolled out a new McVegan (catchy name!) in Europe that will hopefully be brought to North America soon. I wanted to give a shout out specifically to the Beyond Burger, as the latest innovation in veggie burgers. Not that there was anything wrong with the various brands of vegan burgers before, but apparently the people at Beyond Meat have created the holy grail and now have a burger patty that many say is indistinguishable from meat. It's so fantastic that restaurants are picking up on the trend and adding these bad boys to their menus. I haven't tried one yet, but they are apparently gluten-free too, which is more than super wonderful. The infamous food pyramid that we all grew up with as a guide to nutritious eating has been given a make-over to increase the number of recommended servings of fruit and vegetables and to reduce the meat and dairy categories. The Canadian food guide is also changing to reduce the amount of meat and dairy it's suggesting, while upping the fruits and veggies. The World Health Organization has actually taken the position that processed meat products are a cause of cancer. These are serious statements, and are slowing changing the general public's opinion about plant-based food products. Veganuary, an awareness event that promoted vegan choices during the month of January, has become a huge hit. In 2014, about 1,500 people pledged to ditch animal products for the month. In 2018, that had skyrocketed to 52,000. It's catching on and hopefully it will be the people who choose meat and dairy products who have to struggle to find food to fit their "oddball" diets. Our time has come! Oh, and I totally forgot to mention all the new non-dairy milk options that Starbucks is now offering. They've had soy milk options for a while but newer coconut milk choices too!